If as per numerology if your address is in such a way that the total of the number comes to 3 then it will have number 3 as house number. People living here are perfectionists and are very hopeful. 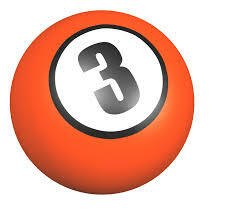 Number 3 is associated with imagination, inspiration and artistry. Let's see all what it offers. Her people love to travel. People here are so hopeful that they are not afraid to take risks. It's seen that the inhabitants of the house keep on telling the price of every item and others are also seen as jealous of them. They give full freedom which could result in either be good or bad. These homes are mostly encouraging and it also has alot of visitors. It's quite possible that people if the house have interest in religion or might have connections there. This Ho suits writers the most. The luck favours inhabitants its so believed and they might get alot of guests. It's also seen that people may have a big house but they may have tendency to run away from responsibilities or may come in quite late. Though the luck favours them but eating habits, alcohol and entertainment causes problems. They also mostly have a stock of alcohol. Inhabitants have frequent celebration and it's favourable to big or joint families and is not suitable for person who wants lo live alone or peaceful life.